Supply chain management has grown significantly more complicated over the past few years due, in large part, to the rapid acceleration of the Internet of Things. While the enhanced connectivity of digital devices and increasing sophistication of technology have provided companies with means to make powerful process improvements, it has also paved the way for an accumulating amount of potential disruptions. Currently at the forefront of common supply chain challenges is the issue of security. For decades, organizations have dealt with the threat of production disruptions caused by incidents such as natural disasters. These events, though often unpredictable, have always been an important event for businesses to prepare for. However, in this digital era when companies are becoming more integrated, visible and accessible than ever before, there is an unprecedented amount of risks to consider. And one of the biggest problems with this is that some organizations may not be aware of how vulnerable they are or the severe damage that can occur after the safety or security of the supply chain infrastructure is compromised. As Robert J. Bowman recently pointed out in an article for Supply Chain Brain, although the internet has become an essential tool for supply chains to improve operational efficiency, it has also made them more susceptible to cyber attacks and other types of security breaches. This is why, the source explained, industry experts emphasize the critical importance of managers taking the necessary measures needed to safeguard their systems and ensure the sensitive data and information exchanged between suppliers is protected. To appropriately implement the adequate layers of defense, supply chain managers must first identify which technologies, tools and devices pose the greatest risk. When it comes to cybersecurity, most people think about computer networks. However, virtually all electronic machines and equipment have the potential to be maliciously penetrated by unintended parties. As a mobility enterprise expert pointed out to IT Business Edge, smart devices often used along the supply chain, such as RFID tags and sensors, create vectors for data attacks - especially when they are ones workers also use for personal purposes. Instead of allowing a bring-your-own-device workplace, then, supply chain managers should enforce a mobility enterprise device-only policy. Another step IT Business Edge suggested organizations take is to prioritize data governance which, as Elementum Head of Growth Rob Cheng explained to the source, "requires that your vendor clearly defines ownership of data elements and the governance controls to ensure the information remains confidential. That way, your information remains your information." 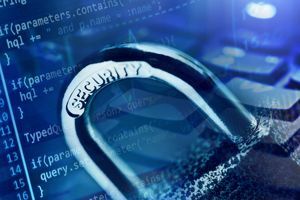 It is imperative that supply chain managers understand that a security incident doesn't just threaten the sensitive information and assets of internal processes; it also puts the privacy, safety and protection of its vendors and customers on the line as well. Furthermore, to guarantee end-to-end supply chain defense, business leaders must assess and monitor the processes and operations of their entire supplier networks to make sure all involved parties are also adhering to security best practices and safety standards.